Ancient Roman amphitheatre (not a theatre). Used for opera performances and various events in modern times. Front Text: "Röm. 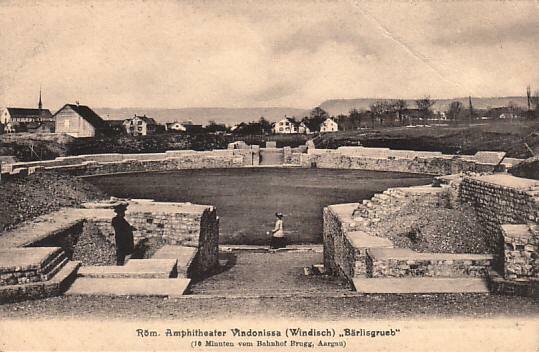 Amphitheater Vindonissa (Windisch) 'Bärlisgrueb' - (18 Minuten vom Bahnhof Brugg, Aargau)"